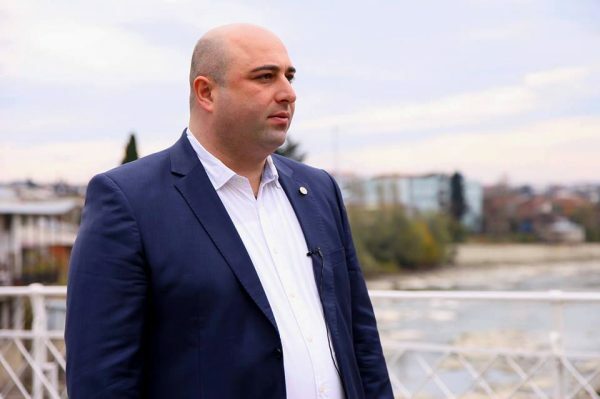 New Mayor of Kutaisi, Giorgi Chigvaria born in 1980 in Kutaisi is Associated Prof. in Akaki Tsereteli State University in the Department of Social Sciences. In 1997–2002 he finished the faculty of History, specialty: History of Eastern Countries. In 2002-2003 he was a researcher and language teacher of ‘Ankara University’ in Turkey. In 2010 he got P hD degree in History (Title of the dissertation – “Geopolitics of Turkey in 1990s of 20th century’’). As for work experience, during the last period he worked as the Vice-Governor of Imereti region. At last, his wife, Tamta Popkhadze works in Akaki Tsereteli State University, Faculty of Humanities, Center of Languages as English language teacher. Tamta is also PhD student and studies Contrastive Linguistics. Mr Chigvaria is one of our two Joint Presidents, who we welcome and send our best wishes to him for his time while in office.